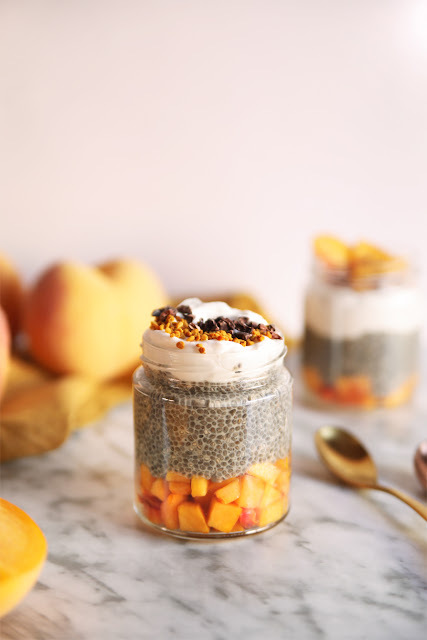 These little cuties are pretty addictive! The texture of french madeleines is a bit different from what I've used to bake before: delicate, dense but light and not as spongy as the classical pound cake. 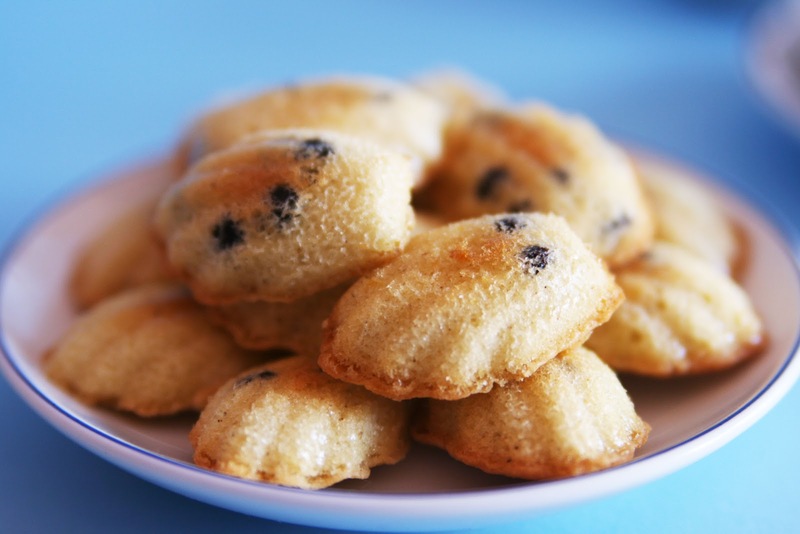 Madeleins have multiple variations, from super sweet recipes combined with honey or jams to spiced and salty madeleines to accompany any meal as appetizers or maybe as small snacks for a party. 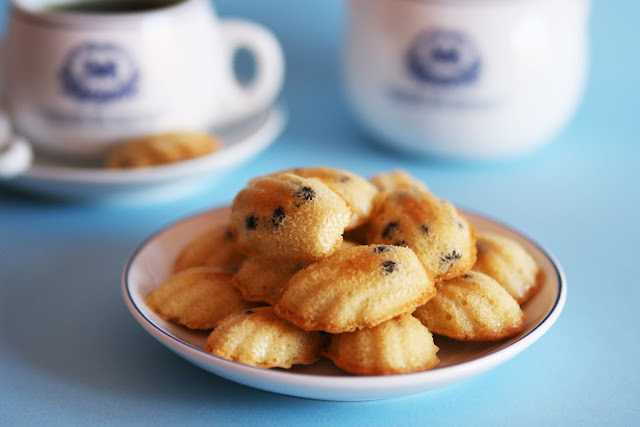 This time I'm bringing you a sweet recipe using the classical madeleine batter with chocolate chips and a touch of vanilla. 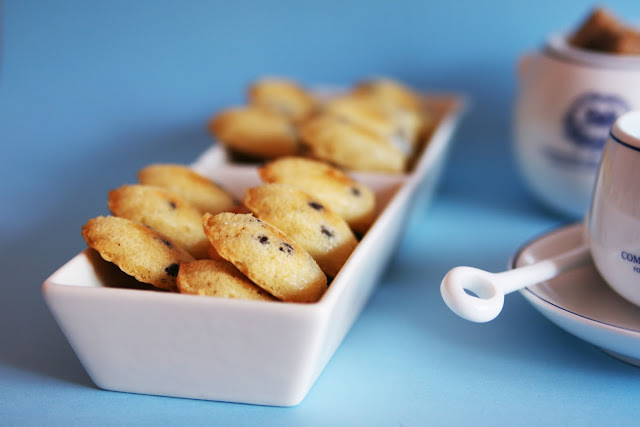 I picked the recipe from the book Mini Madeleines by Sandra Mahut, it has really cute pictures and includes 2 silicone molds of 20 mini madeleines each one. 150g (2/3 cup) flour, sifted. 125g (1/2 cup) butter, softened. In a large bowl beat in eggs and sugar until you get a white/pale mixture. Add in flour and baking powder (previously sifted together) slowly, stirring well. Add in butter, milk and a teaspoon of vanilla essence, beat well until completely combined. Finally, pour in the chocolate chips and chill the batter in the fridge for 30 minutes. Spoon the batter into the molds, filling each other with 1 teaspoon (remember to grease and dust with flour the molds) and place the molds onto an aluminium baking sheet. 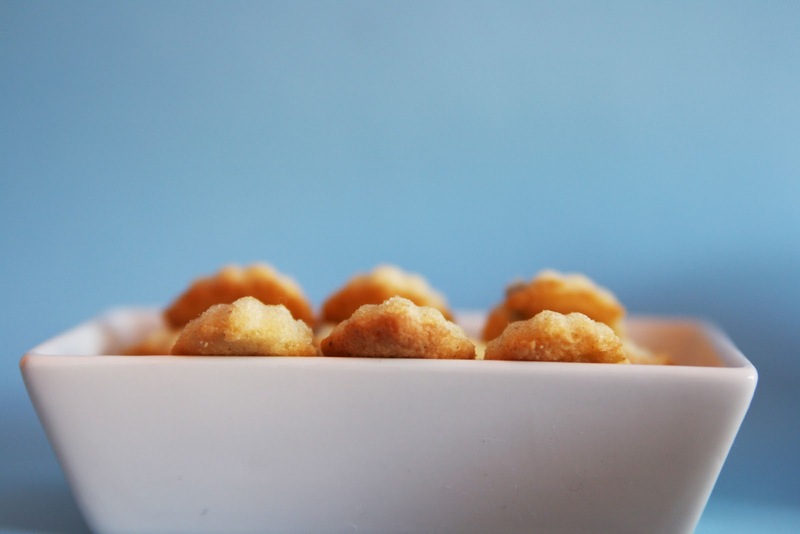 Bake in a pre-heated oven at 220ºC (428ºF) for about 3-4 minutes, then decrease temperature to 180ºC (356ºF) and let cook additional 5-6 minutes. 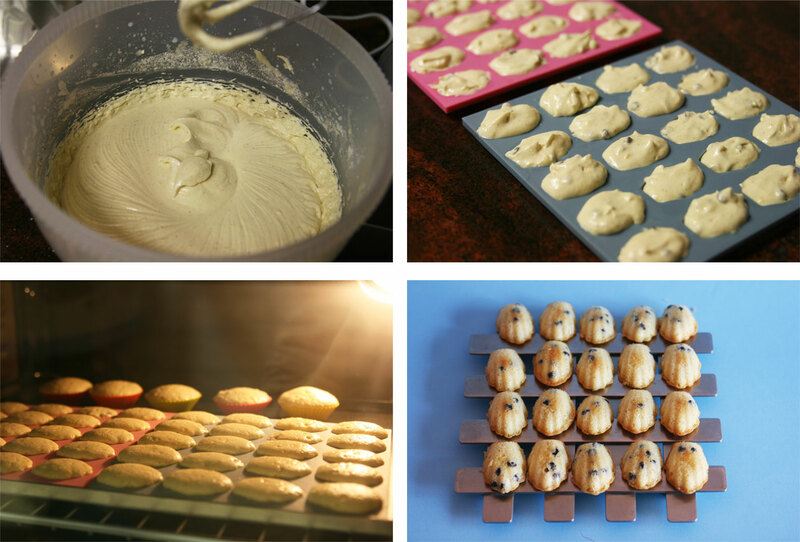 The mini madeleines cook very fast, in around 10 minutes or less, depending on what kind of oven you have. If you notice that the madeleines start to brown quickly on top, decrease temperature a little bit, this way they'll cook well and won't get crunchy on top and raw on the inside. When cooked, remove from oven and from molds and let them cool on a wire rack.! Muchas gracias Silvia! En tamaño mini son una tentación porque empiezas con una pero al final acabas picando más de la cuenta! Jeje. Yo me quiero comprar el molde clásico de aluminio para hacerlas en tamaño normal.